No china cups only paper cups for tea in room. Could not adjust temp of room too warm. 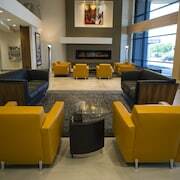 Where to find Notre-Dame-du-Portage hotels near an airport? Where can I find hotels in Notre-Dame-du-Portage that are near tourist attractions? Notre-Dame-du-Portage offers travelers 13 Expedia-approved lodging options. Expedia's extensive database lists 13 hotels to base yourself within a 0.1-kilometre (0.06-mile) distance of Notre-Dame-du-Portage's center. The La Halte du Verger, is an ideal choice for visitors as it's the most centrally situated hotel choice in Notre-Dame-du-Portage. 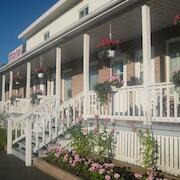 Check out the Best Western Plus Hotel Levesque as well as the Quality Inn Riviere-du-loup. 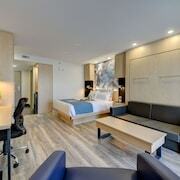 The Best Western Plus Hotel Levesque is 7 kilometres (4 miles) from the center of Notre-Dame-du-Portage. 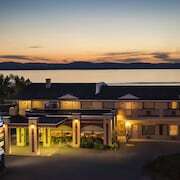 The Quality Inn Riviere-du-loup, is situated 10 kilometres (6 miles) away. 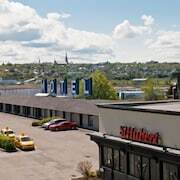 If you'd prefer, you could investigate the Auberge De La Pointe or the Comfort Inn Riviere-du-Loup. If you have time left, you could visit other parts of Bas-Saint-Laurent. Bas-Saint-Laurent offers forests, rivers, streams and lakes, and commonly visited Bas-Saint-Laurent sights include old towns and fortresses. Visitors in this part of Canada can enjoy snowboarding, skiing and cross-country skiing. 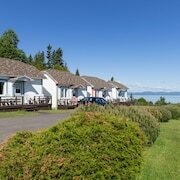 The nearest places to stay in Riviere Du Loup are La Pocatiere and Saint-Antonin. La Pocatiere is 55 kilometres (34 miles) to the southwest of Notre-Dame-du-Portage, while Saint-Antonin is 8 kilometres (5 miles) to the east. 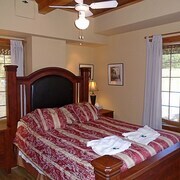 La Pocatiere hotels and apartments include the Motel Le Martinet and Motel le Pocatois. 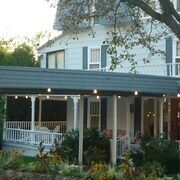 The Motel Express and B&B Les Chabraques are the hotels in Saint-Antonin. If watching sport is your passion, make sure you visit Arena Luc et Marie-Claude, which is 80 kilometres (48 miles) to the southwest of Notre-Dame-du-Portage. For those who are keen on booking accommodation close by, make a reservation in the Auberge La Grande Maison or Hotel Baie-Saint-Paul. Notre-Dame-du-Portage is home to some terrific visitor attractions; learn more Expedia's informative Notre-Dame-du-Portage travel guide. What are the most popular Notre-Dame-du-Portage hotels? 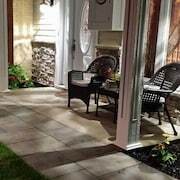 Are there hotels in other cities near Notre-Dame-du-Portage? What other types of accommodations are available in Notre-Dame-du-Portage? Explore Notre-Dame-du-Portage with Expedia.ca’s Travel Guides to find the best flights, cars, holiday packages and more!